Why Is The Wrong Page Ranking In The Search Results? SEO Professor » Blog » Why Is The Wrong Page Ranking In The Search Results? In an ideal world a website would have just one page ranking for each keyword target. So for example, you want your homepage to rank for your primary keyword target. Unfortunately there may be times when Google favours another page on your site. A page with less authority but a more comprehensive answer to the search query. This can present a problem for your rankings if the page with least authority is the one that is ranking ahead of the page that has the most authority i.e the homepage. Almost inevitably your website will end up ranking way down the search results if this is the case. This issue can crop up on new sites as well as established websites and it is often due to technical SEO issues that will require some investigation to find and isolate the cause(s). I have personally came across this issue on a website I was working on recently. 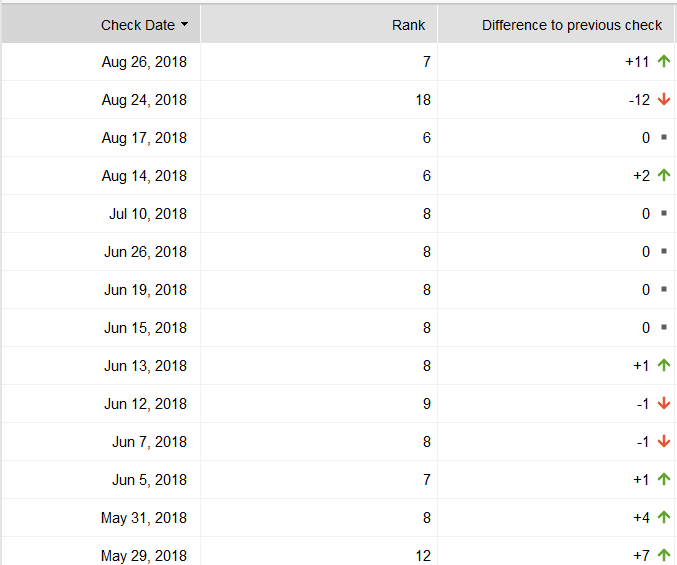 I had worked on recovering keyword rankings for the site in question and initially the results were good. 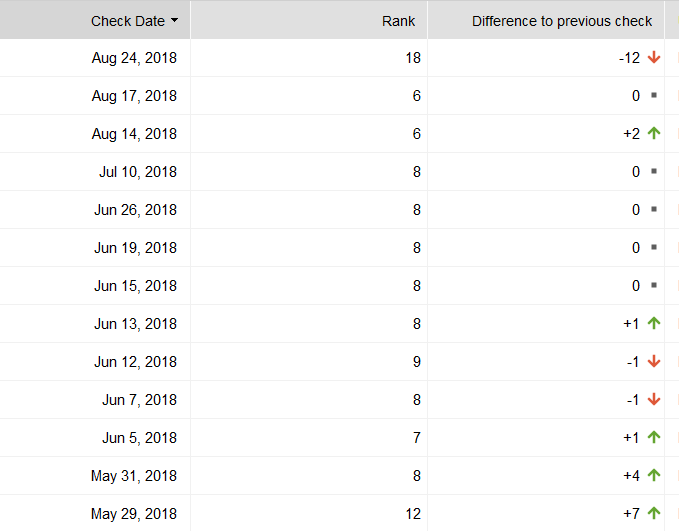 The site recovered its rankings for its primary product after a month – rising from page 3 to page one and 6th in the Google rankings. Suddenly the ranking page for this keyword had switched from the homepage to a product variant page which featured the same keyword. Unusually the product variant page was two levels down in the site and for some reason it was now the Google’s preferred page for that search query. What was it about this other page that made it the better answer to this query? Had anything changed on the homepage to make it less relevant for this keyword? Was there a problem with internal linking? It turned out that the ranking page did offer a better answer to this particular search query. It had more content specific to that query, the page featured a video and it also had data tables which provided everything a visitor might want to know about the product in question. The homepage in contrast was targeting multiple keywords including more generic search terms related to the nature of the business rather than the keyword itself. This is often the case with homepages that need to balance having a shop window with specific targeting of important keywords. The homepage was big on design but light on useful content even though it was soon established that nothing had changed in terms of the content during the period when keyword rankings were being monitored. The page was essentially the same as it had been from the beginning – it was just that this inner page was suddenly viewed as the more useful by Google’s search engine. The answer in this particular case was to make the homepage content more relevant to the query. This included adding more information around the keyword and including it prominently in header tags and so on. The main thing to take away from this is it is important to track your keyword rankings right from the start of an SEO campaign and just as importantly keep an eye on the ranking url. Making even small changes to on page SEO can have a dramatic impact on rankings and monitoring those changes provides important data you can use to continue fine tuning a web page to better target primary keywords. It is also good practice to continue to monitor what is happening so that you can spot any changes early and proactively deal with them to find the cause of ranking fluctuations before they become permanent ranking changes. Losing a page one ranking, particularly if it is in one of the top positions in the search results, can bring about a large drop in traffic to your website.